"We're excited by this result because it explains fundamental observations about the Moon—its early, strong magnetic field and its subsequent weakening and then disappearance—using first-order processes already supported by other observations," adds co-author Elkins-Tanton. 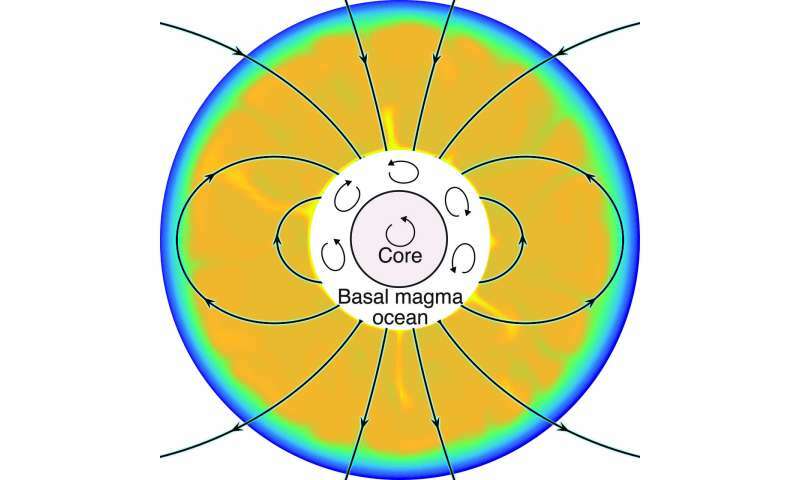 "Basal magma ocean dynamos, like the one in our model, may well have been a common occurrence in rocky planets like Earth and Mars,"
"Uranus' magnetic field . . . is also offset from the center of the planet by one-third of the planet's radius."